Who? Alan Walbridge Ladd (September 3, 1913 – January 29, 1964) was an American film actor. Mr. Ladd was a short (5' 5"), unexpressive lead actor with icy good looks and a resonant voice. He worked a variety of odd jobs -- in addition to radio and in local theater -- before entering films in his late teens as a bit player and grip. In the mid-'30s, he began appearing regularly in minor screen roles. Hollywood agent Sue Carol discovered him and began trumpeting him as star material, and the actor eventually landed a major role in This Gun for Hire (1942) opposite Veronica Lake. He quickly became a major star, and was teamed with Lake in other films -- all hits. Ladd and Carol married in 1942, and she remained his agent for the rest of his life. Although his star-power waned after World War II, his most famous performance came as the title character in 1953's Shane. In 1962 Ladd attempted suicide, and in 1964 he died from an apparent overdose of alcohol and sedatives. 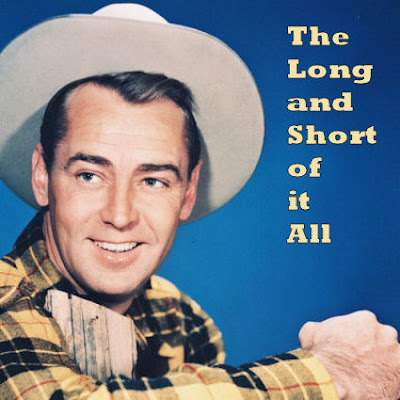 Find out more about Alan Ladd at his official site. 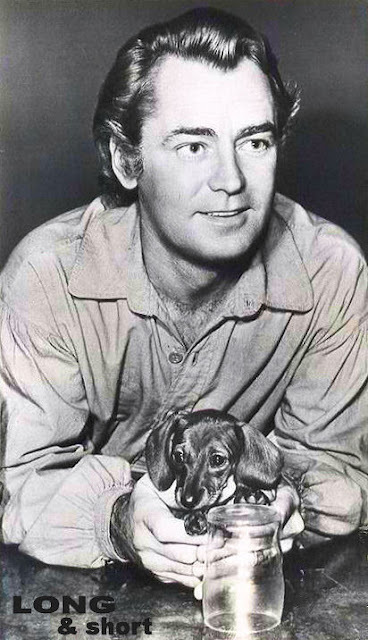 Above, Alan Ladd is seen with his red smooth dachshund 'Fritzie II.' Fritzie II is 3 months old here, weighing all of 3 pounds. Fritzie II replaces Fritzie I, who was run over and killed by a motorist. Mrs. Ladd (Sue Carol) bought number 2 after the house seemed so lonely following the demise of number 1. Enjoy the trailer for the 1953 Western "Shane." Directed by George Stevens and starring Alan Ladd. Those Special Dachshunds: Meet Natalie! A Note From Joey and Maggie: It's Our Birthday! A Note From Joey and Maggie: SANTA! MidWest Dachshund Rescue - "The Adopted"